Although she did not invent the phrase, Ornament of the World – a phrase first used by the famous German Catholic nun and playwright, Hroswitha to describe Al-Andalus, the name that the Arabs gave or the medieval Spain (mid-8th century to about the year 1000) – María Rosa Menocal uses it in a book of the same name to describe a period in European history when, for more than seven centuries, Muslims, Jews, and Christians lived together in an atmosphere of tolerance, and where literature, science and the arts flourished. Lara Bello may come from modern Granada, but her heart is very much in the Spain of an age gone by and in her record Sikame, she seems to conjure the timeless beauty of that time, reflected in the timeless themes of love and loss and love again, interlacing her glorious vocals with similarly elegiac instrumentation. 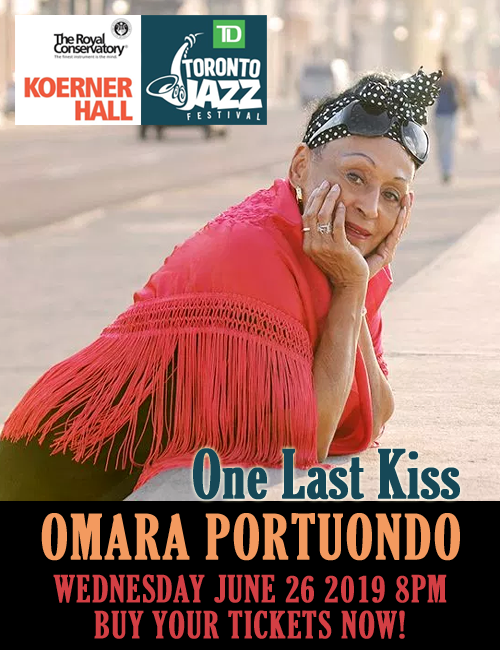 Highlights include one of the most hauntingly beautiful vocal versions of Charlie Haden’s great ballad, “Our Spanish Love Song”. The bittersweet version seems written expressly for the fragile, vulnerable-sounding sensuality of the voice of Lara Bello. For her part, Miss Bello turns it into a trembling, dramatic aria, no less. But that song, while it may be the crowning glory of this recording, is by no means the only feature of Sikame. 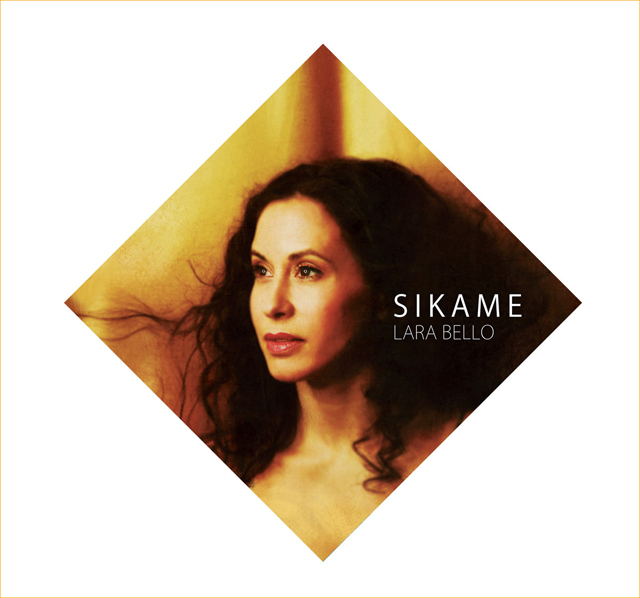 In fact, almost unbeknownst to her, Lara Bello casts her hypnotic spell on the title-song, “Sikame”, which has been contributed by no less an African mystic/musician than Lionel Loueke himself. Meanwhile Miss Bello’s voice reigns supreme over other songs, notably “Farfalla”, and “Sola”, “Suave” “Hind y El Amor” and everywhere else on the recording, as a matter of fact. However, forget not that this is the record of Lara Bello, whose mezzo has an effortless beauty: pliant, subtly expressive and never forced. She captures the chaste fervour of this music as if it were sacred through her passionate embrace of the lyric. As a result she is able to proffer aptly spontaneous continuo realisations, varying timbre and texture and add discreet embellishments according to the poetic moment. On “A Woman and The Universe” Miss Bello provides a rapturous experience of just kind of singing. Leni Stern on ngoni is particularly brilliant and exquisitely refined on “La Semilla”. The slightly distant balance in the resonant acoustic throughout lets the vocal high notes in Miss Bello’s voice float with gorgeous colour and impact. Kudos must go to the work of engineers, Steve Addabbo, Iván Moreno, Carles Benavent, Richard Bona (yes, that ingenious Carles Benavent and that ingenious Richard Bona) and Dave Darlington for that all-important contribution to the aural aesthetic. Track List: 1: Sola (feat. Jorge Pardo); 2: Suave; 3: Ave Fugaz (feat. Gil Goldstein); 4: De Perdidos Al Río (feat. Carles Benavent); 5: Our Spanish Love Song (feat. Gil Goldstein); 6: Sikame (feat. Lionel Loueke); 7: Hind Y El Amor (feat. Romero Lubambo); 8: Farfalla (feat. Gil Goldstein); 9: Simple Fado (feat. Richard Bona); 10: A Woman and the Universe (feat. Richard Bona); 11: La Semilla. Personnel: Lara Bello: vocals and percussion; Gil Goldstein: piano, accordion (3, 5, 8), Fender Rhodes and percussion; Romero Lubambo: guitar; Dave Eggar: cello; Richard Bona: contrabass and electric bass (9, 10); Lionel Loueke: guitar and vocals (6, 9); Jorge Pardo: flute (1, 8, 11); Carles Benavent: mandolin (4); Leni Stern: ngoni (11); Samuel Torres: cajón and other percussion; Rajiv Jayaweera: caxixi.